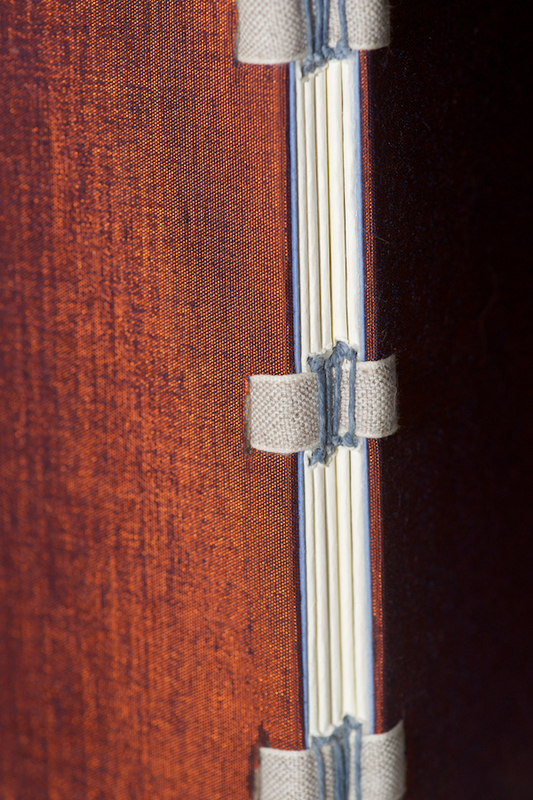 I really enjoy bookbinding from time to time, especially now that technical writing occupies the bulk of my time. It’s refreshing to complete something and see its completeness. It can be hard to feel holistic satisfaction from writing; there’s always one more thing to fix. Below are some photos of my recent projects. The first two are books I donated to my local writing club, WriterHouse, for a charity raffle. 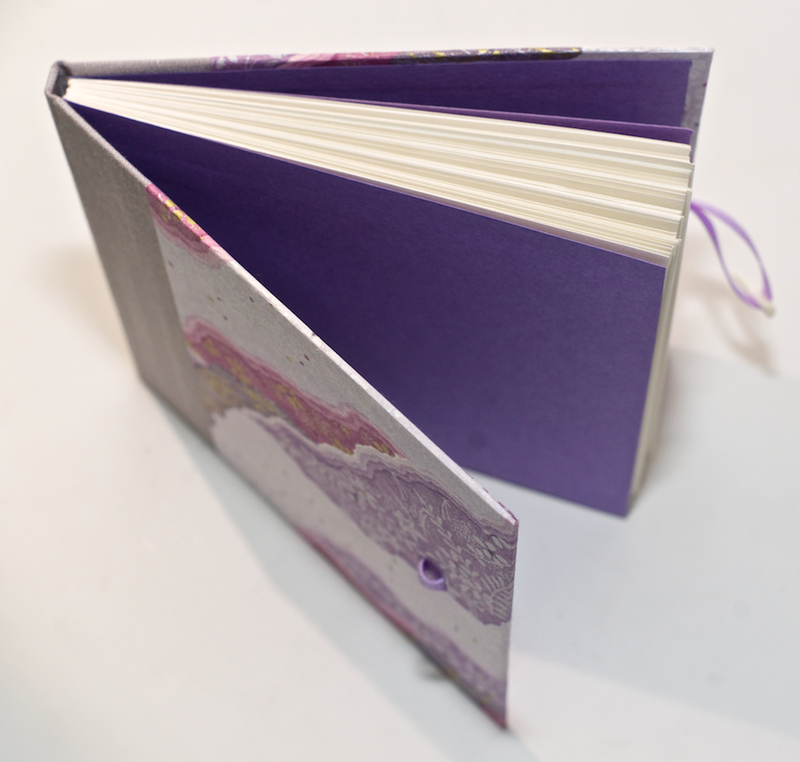 The purple and grey book is a perfect-bound notebook with a bone clasp; it contains linen textured paper. 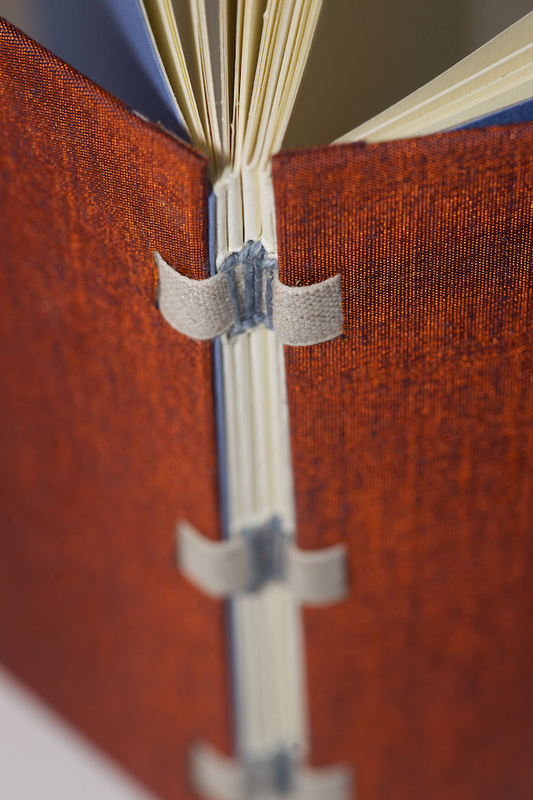 The dusky red book has exposed linen tape to allow for a more flexible spine. It contains a slightly warmer-colored linen textured paper. 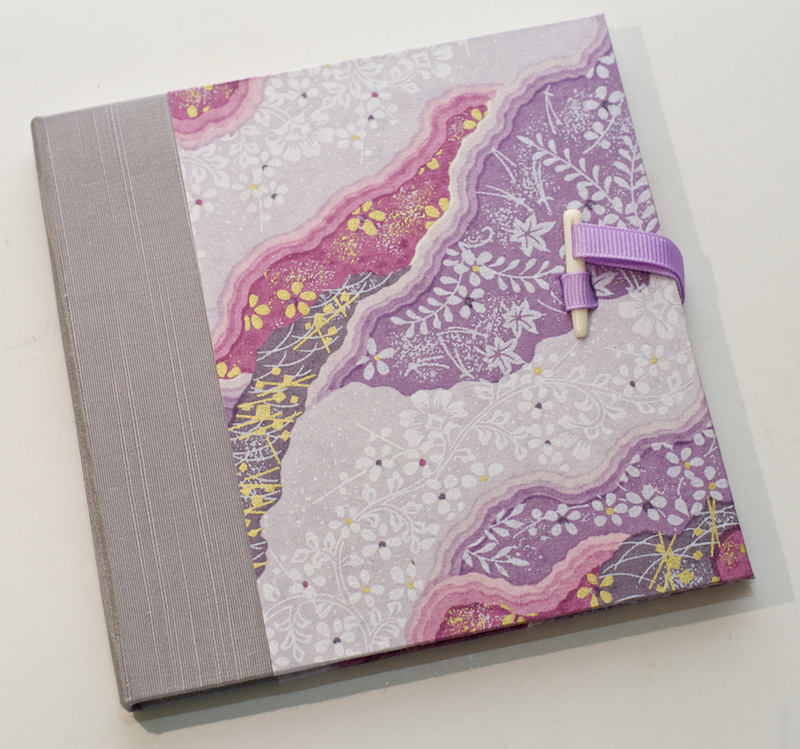 I made a similar book for myself a few months ago–having something beautiful to take notes in is a great incentive for me. The third book is a copy of my novel draft to send to a friend who until now has been reading from a pdf. 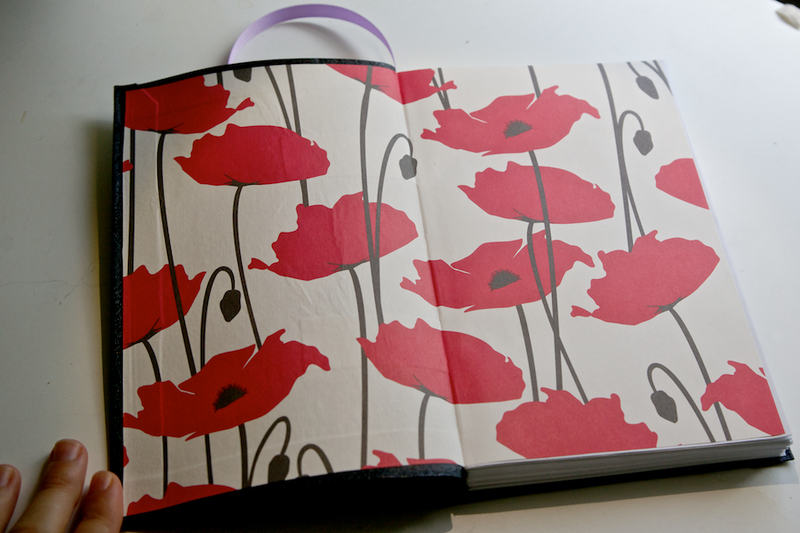 I used a red poppy patterned paper for the endpapers–I love the pattern but it’s a slick paper that can be hard to keep flat. I was pleased with how it turned out. 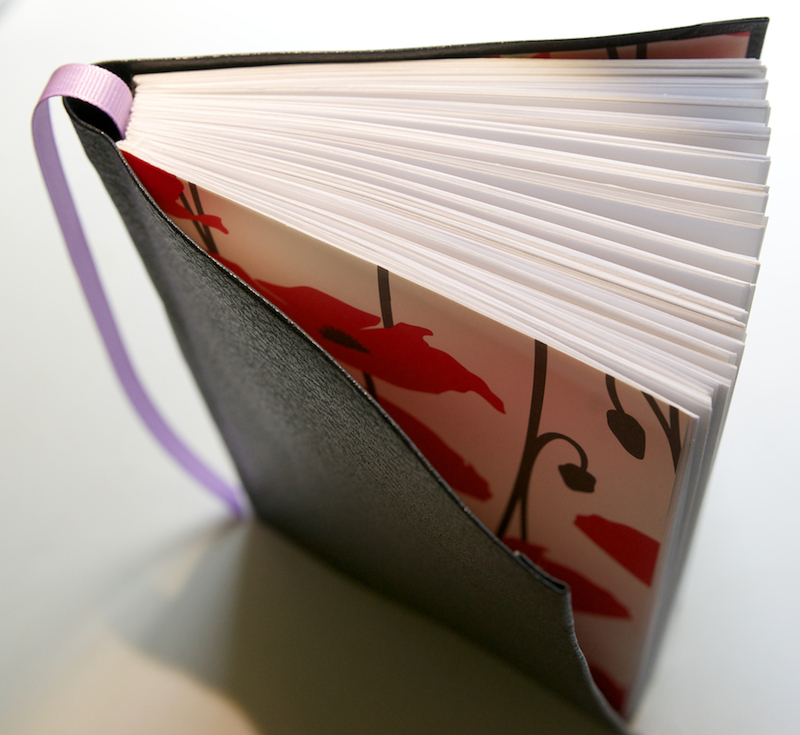 The book’s cover is black imitation leather. This entry was posted in Books and tagged binding, book arts, bookbinding, books, craft, hand bound, hand made, making, projects, writerhouse on October 7, 2013 by Vironevaeh.